We reviewed 18 card-based design tools in order to understand how they might benefit designers. 5 design dimensions are proposed including the intended purpose and scope of use, duration of use, methodology, customization, and formal/material qualities. 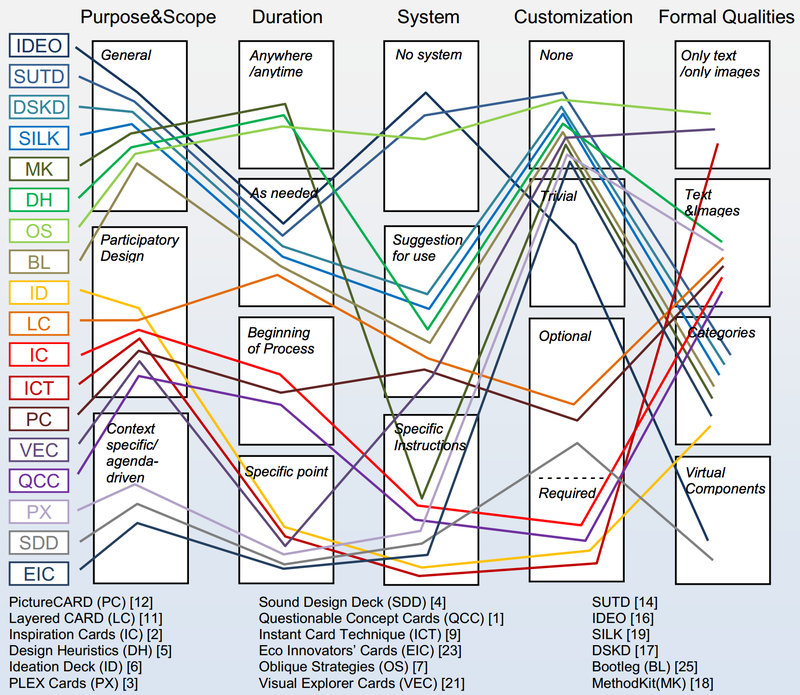 Our analysis suggests 3 design patterns or archetypes for existing card-based design method tools and highlights unexplored areas in the design space. The paper concludes with recommendations for the future development of card-based methods for the field of interaction design. We presented our findings at the INTERACT 2013 conference in Cape Town, South Africa.